We provide a full-range of storage solutions for bioprocessing and laboratory use. From Single-Use Bags to Carboys and Media Storage bottles, there is a solution to suit any process requirements. Autofil Centrifuge Bottles from Foxx Life Sciences are designed specifically for processing samples of cell suspensions, cell lysates, tissue homogenates and organ homogenates. 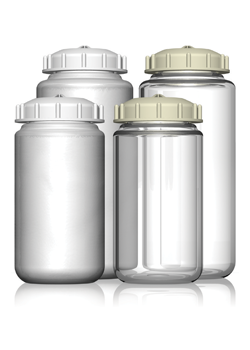 Available in 250ml or 500ml sizes, Autofil Centrifuge Bottles are made from autoclavable polycarbonate or polypropylene with your choice of a traditional screw cap or a leak-proof sealing cap with silicone O-ring. ​The centrifuge bottles feature thick walls that hold up to reuse along with wide mouths that simplify filling and pouring liquids. 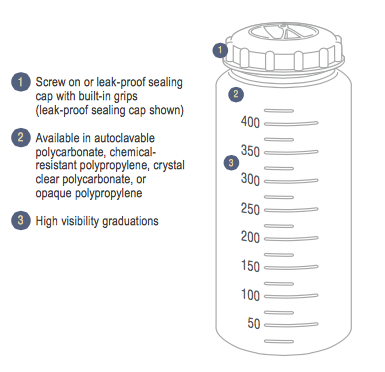 Each Autofil Centrifuge Bottle also features large, clear-molded graduation markings and a frosted area for convenient labeling. Also available with a standard cap which can be used for low speed applications, or the seal cap for leak-free processing. To further discuss the Autofil centrifuge bottle range, and how we can help you. Please contact us, or request a callback at a convenient time to suit you.